Already Among Us contains fourteen stories featuring anthropomorphic characters written from 1942 to 2006, by Fredric Brown, Cleve Cartmill, John Christopher, William Morrison, Poul Anderson & Gordon R. Dickson, Reginald Bretnor, Martha Soukup, Michael H. Payne, Roland J. Green, Paul Di Filippo, Scott Bradfield, Susan Palwick, Mickey Zucker Reichert, and Harding Young. 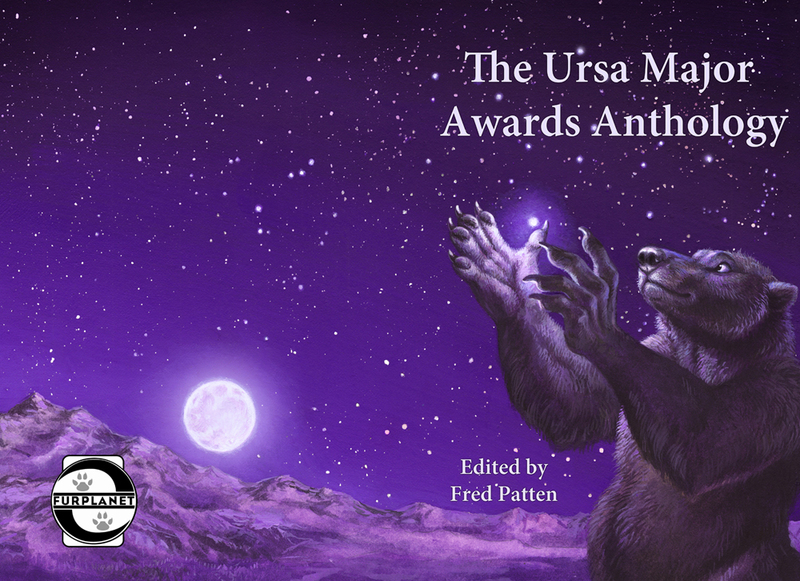 The Ursa Major Awards Anthology contains twelve stories that have won or been finalists for the Award in the Best Anthropomorphic Short Fiction category from 2001 to 2010. Each story includes its original illustrations. Authors include Brock Hoagland, Michael H. Payne, M. C. A. Hogarth, Chas. P. A. Melville, Kristin Fontaine, Kyell Gold, Jim Hayden, Samuel C. Conway, Paul Di Filippo, and Naomi Kritzer. 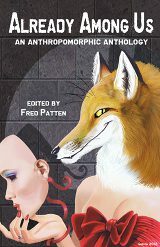 Both books will be on sale at Anthrocon 2012 in Pittsburgh, on June 14-16. They will also be available at a book signing with the editor, on Saturday, June 30, at the Los Angeles Science Fantasy Society, 6012 Tyrone Avenue, Van Nuys, CA 91401, from 1–4 p.m. Since this is a signing by the editor and not a bookstore, there will not be provisions for credit-card sales; only cash can be accepted. Hey, can't blame me for being on the ball! Besides, if people want to get in on that sale, they'll have to buy quickly . 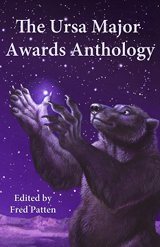 . .
Blotch has made a good case to be in next year's Ursa Major Awards with this cover. There is nothing wrong with Roz Gibson's cover, either.